A retro recording studio has opened its doors in Plant City allowing local artists to create their work in their own backyard. 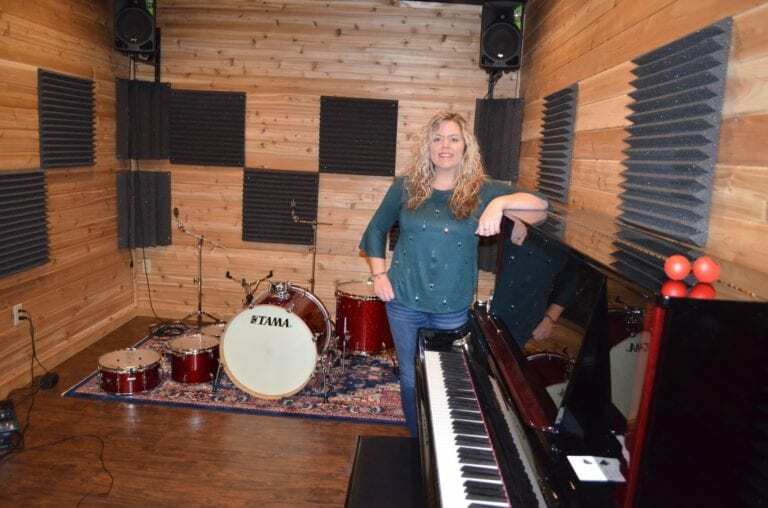 A new recording studio in Plant City is hoping to offer local artists the perfect haven to create their art without having to trek across the Bay to find a skilled, flexible and welcoming venue. Kaylee Strickland created Back Pocket Recording Studio, 1514 S. Alexander St. Suite 204, in April. Allison Strickland, Sandra Patterson, Kaylee Strickland and Tirso Gomez. Strickland considers Lithia home — barring the years she pursued her artist development degree at Liberty University — and said she knew Plant City had a thriving music scene. Back Pocket Recording Studio s full-service and handles recording and tracking, editing, mixing, mastering and production. Clients range from people wanting to make a track for friends and family, to serious musicians wishing to produce an album. When someone decides they’re ready to enter the studio they set up a consultation appointment with Strickland and discuss the genre they perform and what type of track they’re hoping to produce. Strickland says she does her best to get a feel for the dreams and desire of each client. The ambiance of the experience is obvious from the moment the client walks in the door. Hanging on the wall are mounted vinyls from artists like Johnny Cash, Jim Croce, Fleetwood Mac and Chris Stapleton. Strickland’s warm-hearted and authentic personality shines as she delves into your goal and shares anecdotes of her own time spent crooning and extemporizing at the piano. The studio is full-service and handles recording and tracking, editing, mixing, mastering and production. Music, like any form of art, is extremely personal and Strickland said she makes it her goal to ensure each client gets the perfect finished product. While the timeline varies depending on what each client wants, the turnaround of the studio is fast. Whether it’s a single track of just voice and piano or a full album with a wide mix of instruments, the studio delivers a polished finished product well within a strict schedule. The studio is equipped to handle any project. So far the majority of the clients have been musicians, however, Strickland said she hopes to soon have people interested in podcasting or recording audiobooks give the mic a whirl. For more information visit backpocketrecordingstudio.com, call 813-756-6501 or check out any of its social media sites.